We invite you to begin a new year by taking a fresh look at Jesus and the week that changed the world 2,000 years ago. 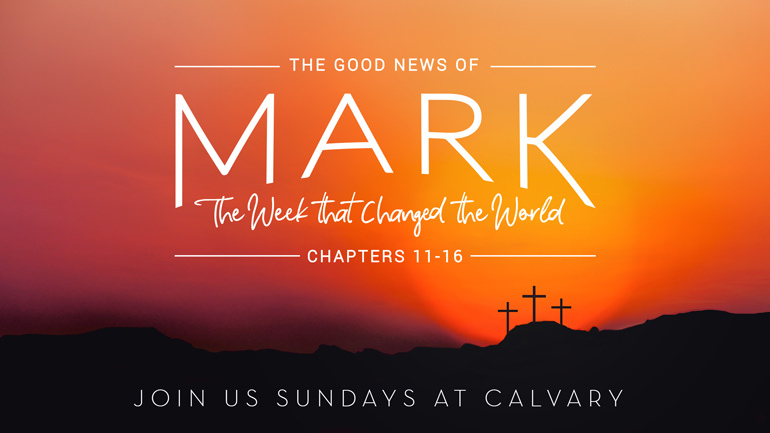 Join us each Sunday for this series journeying through the final chapters of the Good News of Mark. We'll explore the climactic events that began with Jesus' triumphal entry into Jerusalem and ended with His trial, death and resurrection. After all these years, Jesus is still changing lives today. Will you let Him change yours?